Greetings again from the darkness. The theatre was packed and I don’t recall having heard a louder outburst of cheering for any movie moment. Was it predictable? Yes. Did it deliver what the fans wanted? Absolutely. Is it (as my son asked) “Was it just ROCKY IV in 4K?” Yes, that’s pretty much exactly what it is. So despite CREED (2015) director Ryan Coogler opting to make BLACK PANTHER instead of this sequel to his own movie, I’ve seen proof that it’s clearly a crowd-pleaser … which is what the “Rocky” franchise has always done best. Michael B Jordan returns as Adonis Johnson/Creed and Sylvester Stallone is back as Rocky Balboa. And although that would likely be enough, we also have Tessa Thompson as Adonis’ girlfriend Bianca and Phylicia Rashad as Adonis’ mom, both also from CREED. We see an early training/boxing sequence in Russia featuring (professional boxer and chiseled human mountain) Florian Munteanu as Viktor Drago being trained by his father Ivan Drago (Dolph Lundgren). If you are a fan of the franchise at all, you know exactly where this is headed – and so does opportunistic boxing promoter Buddy Marcelle (Russell Hornsby). Think of it as ‘Revenge vs Redemption’. Adonis fighting the son of the man who killed his father Apollo is the obvious revenge side, and Viktor fighting to redeem his disgraced father Ivan, who lost to Rocky 30 some years ago. This one lacks the real world Cold War element of ROCKY IV (1985), and while it’s missing the political heft of that film, it still packs quite a punch as a revenge flick … even if there was no other possible route this sequel could take. If anything, the filmmakers should be commended for not force-feeding any cheesy political statements on today’s environment. “What are you fighting for?” This must be both a necessary boxing question to answer and a tough one, as it seems to get asked over and over during the film. 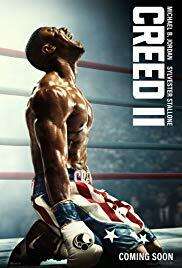 The combination of writers: story by Cheo Hodari and Sacha Penn, characters by Ryan Coogler, and screenplay by Sylvester Stallone and Juel Taylor, place quite a bit of focus outside the ring. Relationship quandaries are at every turn: young married couples, father-son (double whammy), mother-son (another double whammy), and first time parents. Director Steve Caple Jr seems more comfortable outside the ring himself, as the boxing match camera work does not hit the level of the first, although audience members’ emotions run even higher. Perhaps to overcompensate for the more basic camera work, some of the sound effects for rib punches may have been pulled right out of battle scenes in war movies – they sound like explosions, and are exaggerated so that we viewers might “feel” the ribs cracking. Wisely the relationship between Adonis and Bianca is a key element this time. Mr. Jordan and Ms. Thompson have tremendous chemistry, and the filmmakers deserve credit for hitting the hearing-impaired issue head-on. It’s a topic that’s rarely seen in movies, and appears to be very well handled. There are some other ties to the “Rocky” franchise with Wood Harris playing “Little Duke”, son of Duke, played numerous times by Tony Burton throughout the Rocky films, and there are a couple of other (very) familiar faces that pop up from both IV and ROCKY BALBOA (2006). On the music front, Ludwig Goransson is a rising star composer thanks to FRUITVALE STATION, CREED, BLACK PANTHER, VENOM, and now CREED II. He toys with the familiar Rocky numbers, but some will argue not enough. This sequel is more grand scale than the first (which was identity driven), yet more restrained than IV. Sure we have the mandatory zany training montage (zany may be too mild), and the final bout is held in Moscow (even though it makes no sense that the champion would agree to this), but it’s definitely more low-key when comparing Bianca’s musical intro to James Brown’s “Living in America”. For fans, it’s great to see Rocky Balboa and Ivan Drago back in the ring together – even if only for a moment; however, maybe not as thrilling (dramatically speaking) as when the two first reunite Godfather-style in a table at Adrian’s Café. It’s a surreal moment that both Lundgren and Stallone play perfectly – one with pent-up emotional turmoil and the other quite content with what life has delivered. Of course, Sly can play Rocky in his sleep … and no that wasn’t meant to encourage one-liners followed by rim shots. He’s comfortable with the shuffles and mumbles of an elderly Rocky and it’s a pleasure to watch an old friend. The only real question remaining … is the “Creed” franchise gonna fly now? Greetings again from the darkness. Whether you saw the first two in this series will directly correlate to whether you head to the theatre for this third entry. 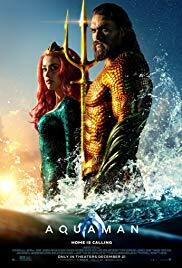 The filmmakers’ attempt at attracting a younger audience by adding a “new” crew and dropping to a PG-13 rating backfires, and will not provide the legs this franchise needed for more installments. 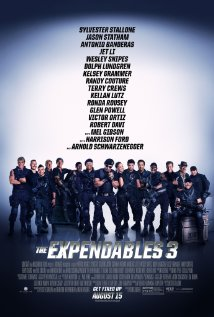 The regular old geezers are back: Sylvester Stallone, Jason Statham, Dolph Lundgren, Terry Crews, Randy Couture, Jet Li (briefly), and Arnold Schwarzenneger. In addition, we get new “old” blood in the form of Antonio Banderas, Kelsey Grammar, Wesley Snipes, Harrison Ford, and the dominating presence of Mel Gibson as the bad guy. The young blood comes in the form of Kellan Lutz, Glen Powell, boxer Victor Ortiz, and MMA superstar Ronda Rousey. The blandness of the newbies simply steals valuable screen time for the old folks, and the movie suffers because of it. The film’s biggest flaw, however, comes courtesy of the all-time champion screen hog: Mr. Stallone. We understand that this franchise is his baby, but why field an all-star team if you won’t let them play? Stallone gets a ridiculous number of close-ups and probably three times the dialogue of the runner-up. Snipes gets some time early in the film, replete with a reference to his real life prison sentence for tax evasion, and Ford and Arnold get in a few shots, but the only savior here is Mel Gibson. It’s a reminder of just how good he can be on screen … if we could only forget what a horrible person he can be off screen. There is no need to go into detail on the plot or describe any of the characters. You know what you are getting if you buy a ticket. It’s just a shame the film’s direction and script aren’t at the level deserving of a cast that includes: Rambo, Mad Max, Blade, Conan, Han Solo, Hercules, Zorro, The Transporter, He-Man, and even … Sideshow Bob!